Pimpri Chinchwad Science Park is located near Autocluster in Chinchwad and is well connected with all major cities by road, Rail and Air. It is very close from Pune Mumbai service road. By Bus : City Bus services of Pune Mahanagar Parivahan Mahamandal Ltd. (PMPML) are available on Old Mumbai Pune Highway passing through Pimpri Chinchwad City. 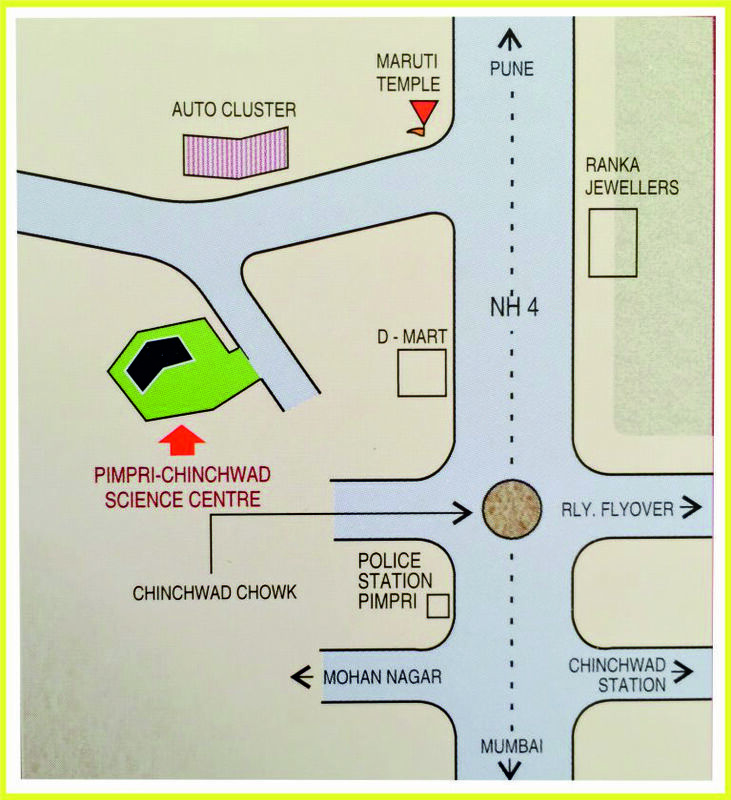 Pimpri Chinchwad Science Park can be visited by City Bus, Autorikshaw or Taxi. It is included daily conducted sight seeing tours.